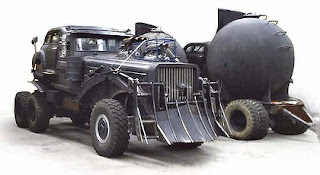 Check Out New Leaked Images of Vehicles from 'MAD MAX: FURY ROAD'! 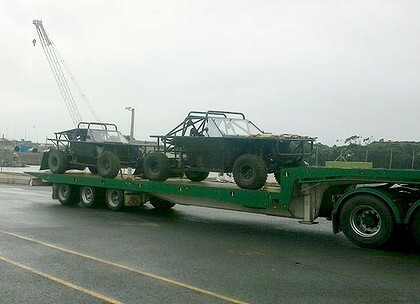 A Bunch of vehicles to be used in the fourth instalment of the Mad Max franchise, Fury Road, were temporarily stored in warehouses at Port Kembla Australia after being trucked in from the legendary outback town & location of Broken Hill before being shipped to South Africa for the start of filming. The collection included an army of off-road buggies & menacing-looking trucks, rigged for doing maximum damage. Also in the collection were several of Max’s own pursuit vehicles, suspected to closely resemble the ‘Interceptor’, a juiced-up Ford XB GT Falcon coupe driven in the original movie. Newspaper reports from Namibia have declared that the south-western African nation is now the chosen spot for filming as the Australian outback has become to affected by weather conditions to act as a location for the movie, part 1 of a new trilogy. Hit the jump to check out the wheels. 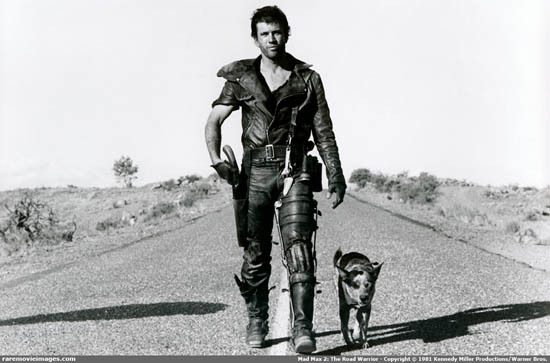 Mad Max: Fury Road stars Tom Hardy, Charlize Theron, Nicholas Hoult, Zoe Kravitz, Adelaide Clemens & Riley Keough. I'm reading: Check Out New Leaked Images of Vehicles from 'MAD MAX: FURY ROAD'!Tweet this!